On November 15, Two of our most recent trainees, Young Syrians Mohammed and Hamza travelled to Westport and met with Minister Michael Ring TD to announce our 2018 project 'A Breath of Fresh Air', together with partners at Leave No Trace Ireland. The project has been awarded funding through the 'Coca Cola Thank You Fund'. We are delighted to take on this new project, and we look forward to Collaborating with Leave No Trace Ireland in delivering it in 2018. I am someone who barely sees the sea from one end of the year to the other, but recently I spent a week sailing on one of the biggest yachts in Ireland off the coast of West Cork with 10 young people (five Syrian, five Irish). What a week! Safe Haven Ireland is a not-for-profit initiative that empowers young people and fosters integration in Ireland. They give children and young people, including members of the migrant community, life-changing opportunities to take part in exciting youth development initiatives. Managed by a team of volunteers led by CEO and Founder, Shauna Gillan, the organisation has been operating since 2015. Safe Haven Ireland offers amazing opportunities to young people on different boats. I was lucky enough to be one of ten young people living in Ballaghaderreen to go sailing on a yacht in West Cork called the ‘Spirit of Oyster haven’, Ireland’s largest sail training vessel. Earlier in the year it was announced that a number of Syrian Refugees would be coming to a centre in Ballaghaderreen where they would live until they could be granted full refugee status. My local Fóroige club took part in an integration project with the young Syrians in the centre which I was very involved with so when the opportunity arose for ten young people to go sailing with the young Syrians I jumped at it. The trip was a week I don’t think we’ll forget any time soon. We bonded in a way that is only possible through such a unique experience. I learned so much about boats, sailing, sea life and life at sea! Everyone aboard was a pleasure to be with and the crew were so kind, helpful and were excellent mentors to us all. We were given plenty of opportunity to show our worth and take part in the running of the vessel. Steering at the helm, raising the sails, keeping watch, letting out and taking up the anchor are all key tasks but we also took turns cooking and cleaning throughout the week. This was very rewarding and it made me proud to be able to serve my crewmates. The week has sparked a very keen interest in me and I have been earnestly looking for more sailing opportunities since I’ve come home. We traversed the West Cork coastline travelling from Oyster haven to Baltimore, watched closely by fantastic weather. We were able to swim in the sea on a daily basis and enjoy the sun. I particularly liked Oyster haven bay itself. We went ashore on Sherkin Island in Baltimore, once again the weather blessed us and we very happily walked around Sherkin singing Arabic songs. As we were making our way home I received news that the first group of Syrians who arrived had received their refugee status. Two of the Syrians who were with us on board were in the first group. We congratulated the new citizens of Ireland and for the rest of the way home I couldn’t help but feel honoured to have taken a trip with such a fine group of young people. 2017 Summer voyages a success! What a summer! This year our voyages took us down the coastline from Sligo to Galway (where we had a great time at Ireland's maritime festival, SeaFest) and then onwards to Limerick and around the West Cork coastline. We worked with two Irish vessels: our good friends at the Spirit of Oysterhaven and new friends on the Brian Boru. We welcomed young people on board from a whole host of countries including Syria, Bolivia, Afghanistan, Zimbabwe, South Africa, Botswana, Albania, Poland, the USA and of course Ireland! We were delighted to work with local youth groups and our partner organisations new and old, including Forogie - the CRIB project Sligo, the Irish Refugee Council, Welcome to Roscommon and the United Nations High Commissioner for Refugees. Huge thanks go to our volunteers, supporters and our kind sponsors, without whom the project could not have taken place: Callan Tansey, Mason Hayes & Curran and SeaFest. On Saturday, 28th of January, our Sail Training International award for "Best Small Sail Training Operator" (jointly shared with our friends at the Spirit of Oysterhaven) was presented at a prize-giving ceremony held in the Mansion House in Dublin. The event gave great recognition to the dedication of sail training volunteers in Ireland and to the fantastic opportunities being offered to young people, by providing sail-training as a means for intercultural learning and youth development. We are delighted to announce that Safe Haven Ireland and Spirit of Oysterhaven were jointly-awarded the 2016 Small Vessell Operator of the Year Award. Our award was collected by Seamus McLoughlin, Chairman of Sail Training Ireland, and country representative, at the annual awards in Halmsted, Sweden on November 26th. For my summer holidays I got the opportunity of going sailing with Safe Haven Voyages. At first I thought that it would not be a good idea as I was scared. Then after getting to think about it I thought it would be a nice experience and I could learn something. And so on the 19th of June we sailed off from Dublin to Cobh (in Cork) for five days. For five days we were sailing on the largest training vessel in Ireland. In total there were fourteen people. For me personally, it was very interesting to meet with people from different parts of Dublin as well as the world. I really enjoyed meeting the crew on board. They were very friendly, helpful and I learned a lot from them. During my time on board I was on the Whale Watch. There was a timetable with two different watches, Whale and Bird Watch. By that, you had to follow the timetable. The jobs were: cleaning, making breakfast, lunch and dinner or being on deck and looking out for dangers in the sea that could harm the boat. On the boat I learned how to tie knots, open sails and lots of other stuff that needs to be done on board. Over the five days the hardest thing was making food downstairs when the boat was bouncing off the waves! The most enjoyable things during the week were the people, crew and the wonderful experience of all the things I learned as well as the beautiful scenery of the coast of Ireland." Part of the Erasmus+ funded project "Eco Campaign-Be the change" included a Youth Exchange in Antalya-Olympos (Turkey), which took place in July 2016. The exchange, focused on environmental issues, saw participants working on the topics of natural park protection, nature,outdoor activities, eco-tourism, interculturalism, among others. The video above gives a glimpse of what the young people were involved with during the week. While the rest of the world was wondering what’s going to happen in Turkey after the military coup, myself and four others were more interested how to get to Antalya. I had been to Turkey before but never by myself and defiantly not that far south. The idea of living in a tree house with four different nationality while exploring the unique history and landscape of Olympus Antalya was sometimes of great excitement. Our exchange was packed with wonderful activity. My biggest surprise I have to say was the heat. 32 degrees weather at 8am is not so appealing after all. I found myself wishing for my rainy Ireland but that though never lasted as we were having too much fun. From afternoon to the beach, to visiting historical site, yacht trip and bomb fire talks, our trip was filled with awesome surprises. On our second evening we had what we call culture night, it was very interesting to say the least. Each countries showcased their national or most popular food and drinks. Without doubt the Portuguese team were the start of the show. Their table looked amazing, lots of varieties. The night was filled with tasty food, inspiring speeches, weird dance move but above all lots of embarrassing memories. I really enjoyed talking to everyone. Especially in the evening around the fire. Its felt like we knew each other for a long time. The sing along although in different language was an experience I will never forget. It is true that we appear to be different, yet we are more alike than we think. The similarities in our cultures were quiet astonishing. One of my favourite moment of the exchange was the night we spend at the beach waiting for the sunrise. We cycled 5km after our last session to the beach. We joined a local’s group of hippies. Some people went for a night swim and the rest of us stayed close to the fire telling story and singing. We even forgot about the language barrier and just enjoyed the night. It was like nothing I had experience before. The same sun, the same sky, the same waters but a little detail like a different location changed everything. Olympus was breathtaking. Its scenery, its people and above all the people that shared this adventure with me will not be forgotten." A new refugee education pack for Irish schools has recently been launched by UNHCR Ireland. The pack introduces teachers and students to the concept of asylum, the reasons people flee and the legal protections that refugees enjoy. Besides that, the pack also suggests and encourages activities that students may wish to undertake by themselves, including inviting refugees to the classroom or learning more about their community's history of receiving refugees from Vietnam and Bosnia, for example. The pack also works as a great resource for community development and capacity building. It contains additional features such as interviews with refugees and films, making the content interactive and easily accessible for both educators and young people. Safe Haven trainee reflects upon our most recent voyage at a Prize-giving Ceremony! Our latest voyage took place between the 4th and 9th September. It commenced in Glandore and finished on the River Lee in Cork. A prize-giving ceremony was held on the final day in the Port of Cork Custom's Building; certificates were presented by Commodore Hugh Tully of the Irish Navy and Seamus Brogan, Chairman of Sail Training Ireland. The group on board of the Spirit of Oysterhaven during the week was composed by 10 young people from a variety of backgrounds, as well as by one of our former trainees from 2015 who had been promoted to the role of Watch Leader by the vessel and by coincidence was part of the crew on another Safe Haven voyage. Samantha Ncube from South Africa was one of the enthusiastic trainees on board. Although only 20 years of age, Samantha is confident, eloquent and a great advocate for young people. She gave a moving speech at the Certificate Ceremony, which you can read in full below. "Good afternoon ladies and gentlemen, prestigious guests, skipper and former safe haven Ireland trainees. My name is Samantha Ncube and I was one of the trainees on the sailing voyage. Our experience with Spirit of Oysterhaven was one that we will treasure for the rest of our lives. We made long life friends like Koketso, role models and youth leaders that we will definitely be working with in the near future. We also had an educational experience one that we would never be able to learn from Google. Lol. We each evolved in areas that were different, like for instance the musical background and interest that Melvin has or even Garry's knowledge for that matter. I myself even developed a Cork accent from Stuart Lol. Coming from different backgrounds is what made the voyage much more interesting. We learnt a lot about different cultures and had a small module on intercultural studies. From struggling to understand Amro's accent to Ali's English I think it's safe to say we are able to tackle anything. I would like to take this opportunity to thank the Spirit of Oysterhaven committee for allowing us to learn and explore a lot while sailing. Most importantly I would like to thank the Safe Haven Ireland for planning and making the sailing voyage open to us. I would also like to thank our youth leaders that we had on board, Diego and Idris. I would like to thank Garry and Skipper for the love and warmth that they showed us. Despite the sea-sickness they made the boat feel like home. Last but not least I would like to thank all the trainees that took part in the voyage, I can definitely say that I learnt a lot from you guys. In South Africa we have a saying that goes umuntu umuntu ngabantu which means you are who you are through other people. And from this I can definitely say that I am a different person. Thank you!" On the 4th June, we joined the European Youth in Migration Forum (EYMF) as they launched their video about the experiences they had on board of the Spirit of Oysterhaven last summer. The launch took place at the Dublin River Fest 2016, on board the dutch-flagged Tall Ship Morgenster, and was attended by Sail Training Ireland trainees, family, friends and others who support the project. The young peoples shared the experiences they had on the voyage, in particular how much they learned about team-work and about themselves during the week-long trip. They screened a video they made, which you can view today. Safe Haven Voyages trainees visit Áras an Uachtaráin! On the 25th of February we had the honour of visiting Áras an Uachtaráin and meeting Michael D. Higgins, President of Ireland. It was a very special day for our young trainees who attended looking very dapper indeed. The President took his time to meet everyone personally and chatted about their experiences on board. He was very impressed with the amazing young people we are privileged to work with and he even expressed an interest in going on a sailing voyage himself! We will hold him to his words! Michael D. Higgins, the President of Ireland, is a patron of Sail Training Ireland, with whom we are affiliated as a member organisation. A group of former participants on Safe Haven Voyages attend the Aras: Ram, Guelord, Monica, Idriss and Victor. We have been meaning to get down to Waterford to see Ireland's newest sail training vessel for some time now...and we weren't disappointed. The Brian Boru is a beautiful traditional wooden gaff-rigged ketch and is licensed for 12 passengers. We hope to place trainees on her this coming season - watch this space! You can read more about the Brian Boru on her website here. Safe Haven Voyages welcomes applications for trainees and Watch Leaders for the coming Summer 2016 voyages email us here. Safe Haven Voyages is run entirely by volunteers. Sometimes it is difficult to catch up all together and work around our busy schedule, but once we do, it's always brilliant! We met in Rothar Bike Cafe to discuss plans for next year and funding opportunities. Things are looking great so far and although we don't want to rest on laurels, it does give us great energy to work harder and think bigger. If you think that volunteering for Safe Haven Voyages is something you would be interested in, give us a shout! https://safehavenvoyages.squarespace.com/join-us/ We are always in need for passionate people. And also, we have cookies during our meetings! Hope to hear from you soon! Happy SHV team and chocolate Santas! We are very excited to attend Annual General Meeting of Sail Training Ireland, which will take place on 8th of December in Dublin Port Company. We are very proud of our partnership with this amazing organisation and we can't wait to hear about their achievements and plans for the future. Last Sunday, September 27th, we were featured on Duiche, amazing documentary series aired on TG4. Our crew looked absolutely amazing on board beautiful Spirit of Oysterhaven. You have to watch it! Safe Haven Voyages in the press! Voyage 3: Glandore to Cork City! Voyage 3 - seven young men sailed from Glandore to Cork City! 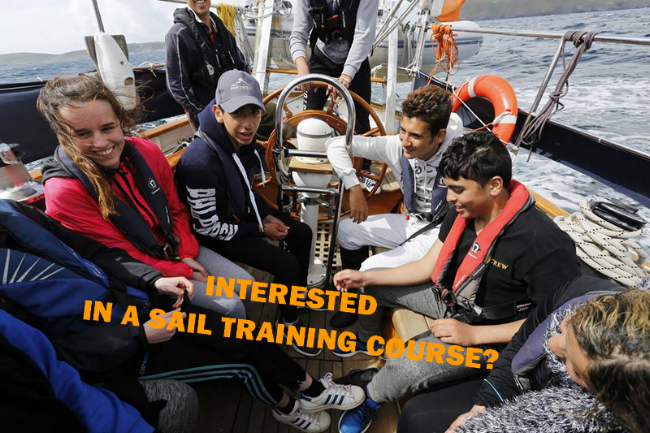 The kind folks at Sail Training Ireland have heard about our work and offered us places on one of their voyages for three lucky Safe Haven Voyages participants! The voyage is at the end of August, from Glandore to Cork city. Of course we immediately said yes... We will be working with local migrant charity NASC in Cork to select the young people in question. All will be resident in Direct Provision in Cork. Let's hope for fair winds as we continue to expand our operations!